Nokia today announced the Lumia 1520, a device that is the first to take advantage of new features built into Windows Phone, including a high-definition display and quad-core processor. The 1520 boasts a 6-inch full HD ClearBlack LCD with Gorilla Glass 2, sunlight mode, and high sensitivity for use with gloves. The latest version of Windows Phone supports a third column on the screen, which means owners of the 1520 will be able to add more content and Live Tiles to their home screen. The 1520 is powered by a 2.2GHz quad-core Qualcomm Snapdragon 800 processor, and comes with 2GB of RAM, 32GB of storage, and support for microSD cards up to 64GB. The 1520 takes imaging seriously and includes a 20-megapixel PureView camera with dual LED flash, Carl Zeiss optics, lossless zoom, and optical image stabilization. Nokia's custom camera software is on board, which has been updated so that accessing the various shooting modes is easier. The 1520 has a 1.2-megapixel wide-angle, user-facing camera and Storyteller, a new app that automatically creates a chronological picture journey based on time/location data stored in photos. The 1520 is widely compatible with wireless networks, supporting dual-carrier HSPA+ at 42Mbps and LTE Bands 2, 4, 5, 7, and 17 in the U.S. Dual-band Wi-Fi, GPS/GLONASS, NFC, Bluetooth 4.0, and a bevy of sensors are on board, as is an integrated 3,400mAh battery. The Nokia Lumia 1520 is expected to reach the U.S. and other markets during the fourth quarter of the year. The 1520 carries a full retail price of $749. AT&T said that it will offer the 1520 later this year. 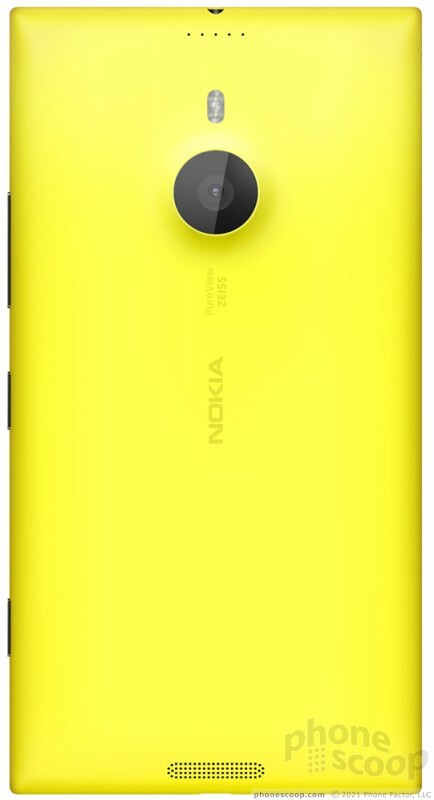 Nokia also announced the Lumia 1320, which is similar to the 1520, but dials down the specs. For example, the screen measures 6 inches, but offers only 720p resolution. The camera is also of lower quality. It will be sold for $339 in select world markets. Nokia also added three more devices to its Asha portfolio, the 500, 502, and 503. Nokia's Asha devices straddle the line between smartphone and feature phone, offering advanced features at price points that are friendly to their emerging market targets. 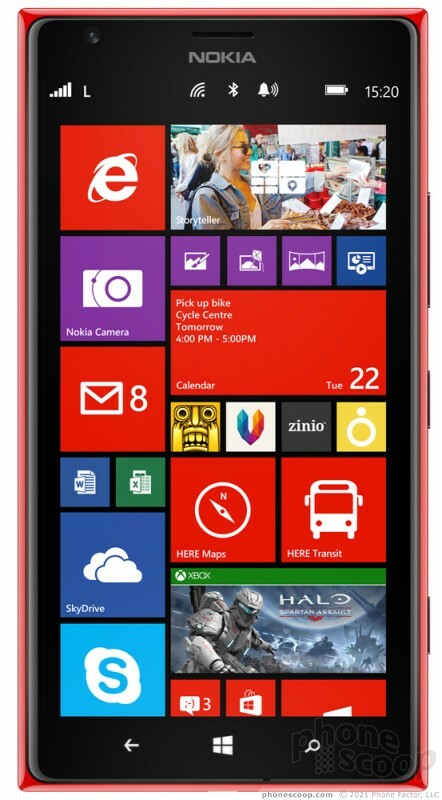 Nokia's latest Windows Phone is a spec monster. 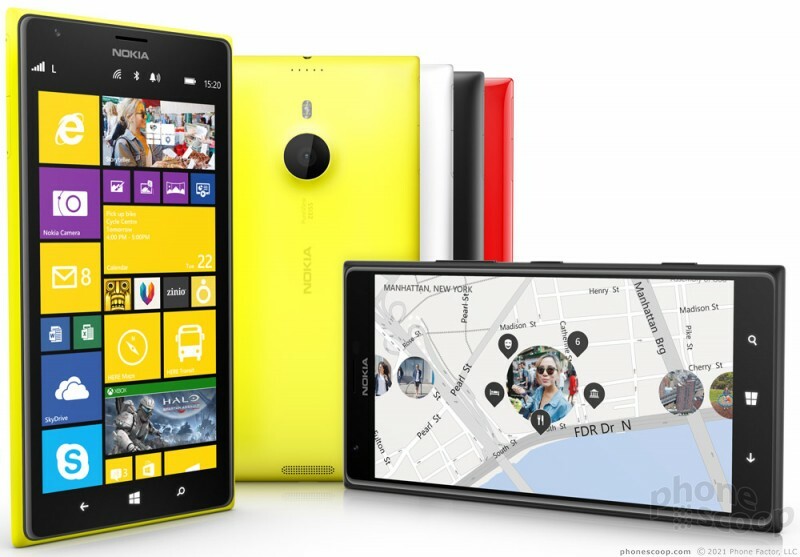 The Lumia 1520 has it all: a huge screen, zippy processor, powerful camera, and connectivity galore. AT&T today added a bright green option to its lineup of Lumia 1520s. 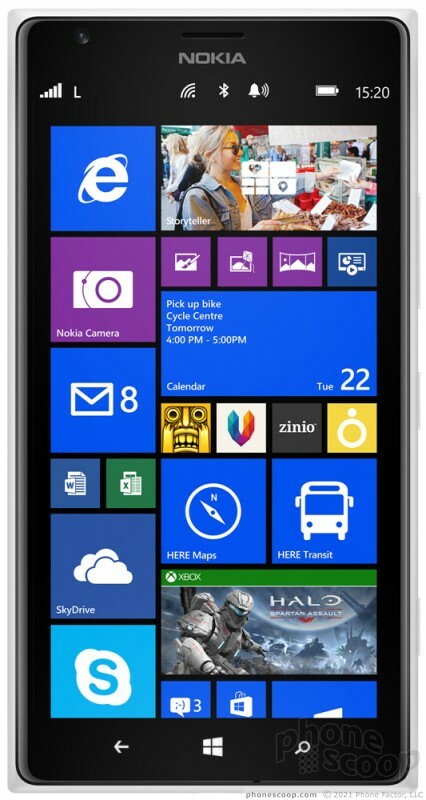 The green 1520 ships with Windows Phone 8.1 preinstalled, which is the latest version of Windows Phone and includes Cortana. 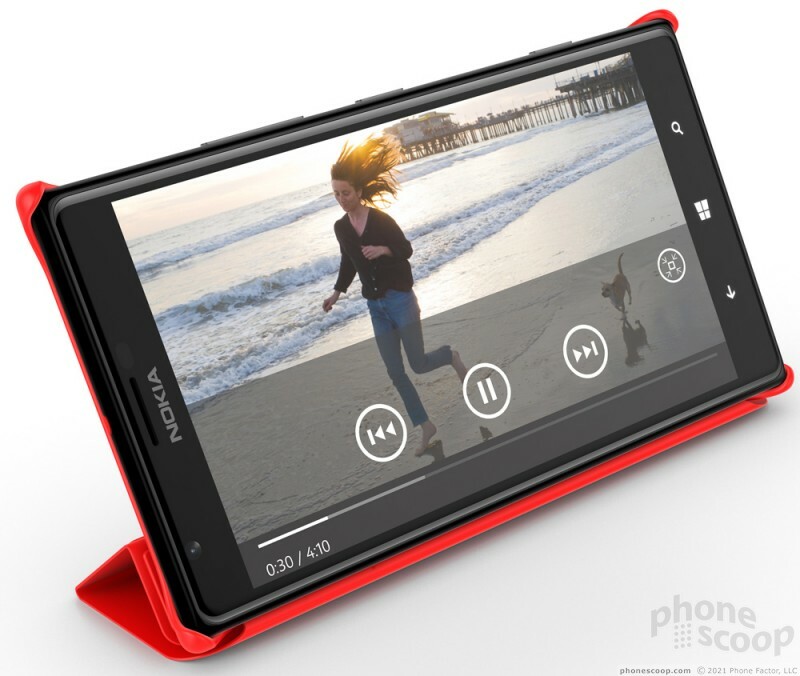 Microsoft has released a new version of the Nokia Camera application for its Lumia-branded smartphones. The revised app carries over several features previously seen in the beta version, including continuous autofocus for faster focusing. 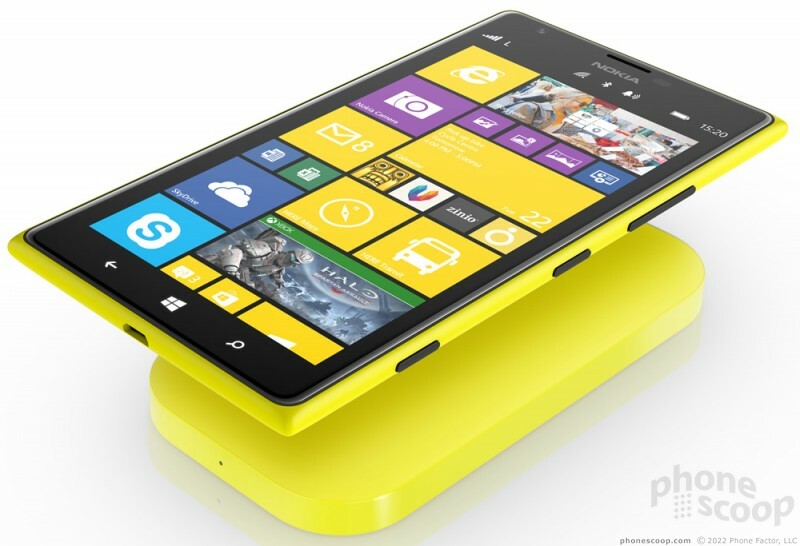 AT&T today began accepting orders for the Nokia Lumia 1520. According to AT&T, the device will ship to those who preorder it on November 19. 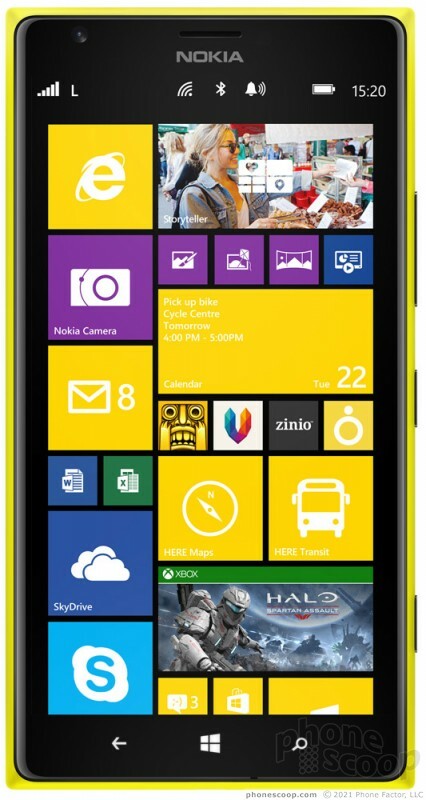 Microsoft is now accepting preorders for the Nokia Lumia 1520 smartphone. The 1520, which has a 6-inch full HD display and 2.3GHz quad-core Snapdragon 800 processor, costs $199.99 when purchased with an AT&T contract or $549.99 without a contract. Windows OS has always been my favorite operating system. I just cannot bring myself to get another one with the lack of apps. The same reason I wont get a Microsoft Surface 2. We need to start a Windows OS revolution and mass purchase these devices to entice app makers to make the apps for windows. 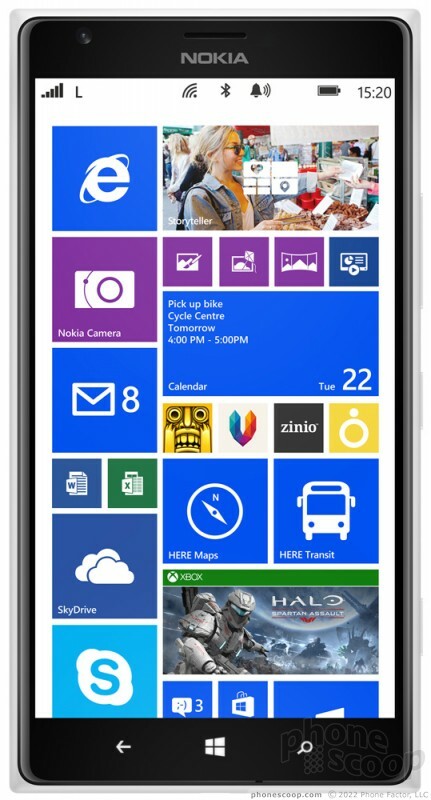 I think everyone would be happy with the speed and performance of Windows phones. Dang! That Nokia 1520 is one compelling device. I hope by "integrated battery" they don't mean that the battery is sealed though. I could take a closer look at Windows Phone if they are going to continue to make devices like this. Unfortunately, "integrated" usually means nonremovable. Still, it's a nice-looking device. There is a page in the article that has nothing but pictures. You should be able to see all the thumbnails with no problem. Let me know if you still can't see them. The biggest improvements that caught my eye, quad core and microSD support. It would be great, if that meant installing apps, or at least backups of apps to the SD. When apps get D-listed, you still have a backup of the app you can reinstall, if you have to reset your phone. Of course, MS could avoid all this, if they offered off-line storage for that purpose or allow you to back up to SkyDrive.